Today the temperatures were in the mid 50’s. The winds started out light this morning, by lunch it picked up and was blowing around 15 mph out of the northeast with higher gusts. There were a few sea mullet and black drum caught today near Frisco Pier. Today was a little choppy offshore, but a few boats ventured out. They came back early with some yellowfin and blackfin tuna. Features a custom hook set which uses a 500# kevlar leader and premium hook and includes the split and solid rings. The Rosco is used for bottom fishing with freestyle jigging gear. It resembles a squid and is painted in light emitting pearl glow with several colors to choose from. 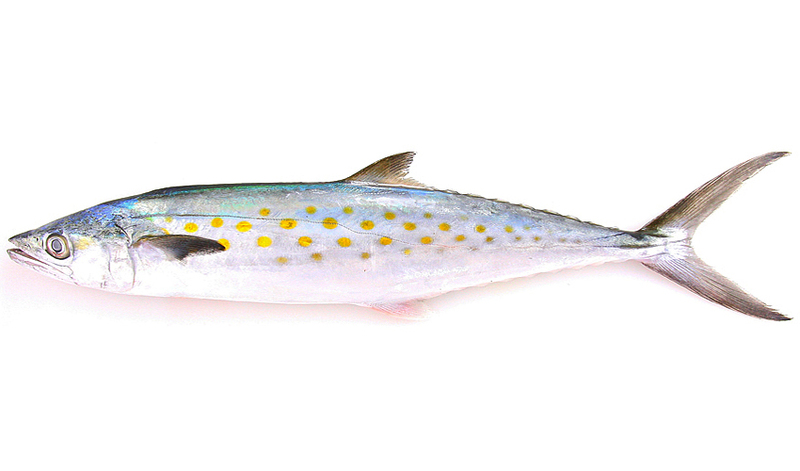 It is great for bottom dwellers as well as AmberJacks, Tuna, Dolphin and other fish that feed on squid. It comes in three sizes, 4, 7 and 11 ounces. Today we had over cast skies with some sunshine. The winds were from the north north-west switching to the north-east at 15 mph. The temperatures were in the low 40’s. A little slower today with a few puppy drum and black drum on the Frisco beach and some puppy drum down near Hatteras Inlet. There are some boats heading out tomorrow to search for the Bluefin Tuna. There have been a few caught between us and Oregon Inlet. Today we cooled off a bit with temps starting out in the low 50s and dropping throughout the day to the low 40s. Winds were mostly out of the west and north west, calming from the mid teens in the morning to 5-7 this afternoon. We received multiple reports of a good puppy drum bite on ramp 55 in Hatteras. Mostly slot size and a few over. Was a beautiful day to fish! Today we had overcast skies with heavy rain and winds mid day. The winds were from the south-west 15-20 mph with gusts to 37 mph decreasing to 10-15 mph by the afternoon. The temperatures were in the upper 60’s. With the line of heavy rain and wind pushing through today we only had some reports of a few puppy drum this morning on the Buxton and Frisco beach. The Taurus SPECTRUM is the first semi-automatic pistol equipped with soft-touch panels seamlessly integrated into the grip and slide. With countless color combinations to choose from, Taurus merges fashion and function for truly distinctive firearms. Taurus took a fresh look at how the gun interfaces with the user. The concealed carry customer is concerned about control, comfort and safety while shooting a micro 380 pistol. To address this challenge, Taurus collaborated with PolyOne Corporation a global provider of specialized polymer materials, services, and solutions. Together they conducted a major ergonomic study to better understand the challenges of making a small pistol that fits various hand sizes. Drawing on PolyOne’s expertise, Taurus executed an enhanced grip design featuring unique contours that enable the hand to naturally conform to the firearm, providing a more secure grip. We had another warm day today. The light southwesterly breezes made for warm temperatures. We made it over 60 today. Tomorrow will be warmer, but with some showers. There were some puppy drum caught today. There was a nice morning bite down in Hatteras. This afternoon around the Pier, if you were on the left side you were catching puppy drum, if you were on the right side, you were catching black drum. 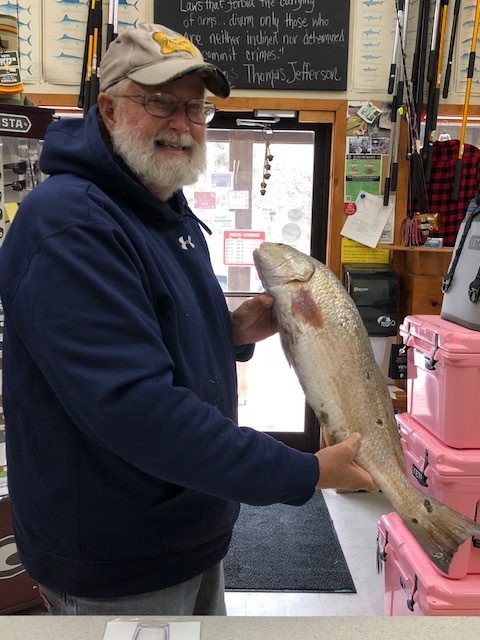 Pictured below is Ernie Munden with a nice puppy he caught today. Today the offshore fleet that had trips had a great day of bottomfishing. They caught triggerfish, sea bass and a few amberjacks. Brass weight on the pull cord is stamped with size. 50% more brush cleaning power. cone shaped bore guide on the leading end. Nylon cord attached directly to the bronze scrubbing brush. Lubrication zone. Today was a beautiful day across the Island. We had highs in the mid 50’s and very little wind. The fishing continued to be descent for this time of year. There were puppy drum, black drum and speckled trout at the jetties. Near Frisco Pier there was a nice trout bite, lots of keepers. The offshore boats that were out today caught triggerfish, king mackerel and blackfin tuna. Some of the boats are commercial fishing this time of year.